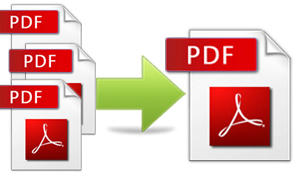 This command will merge pdf files your_list_of_pdfs into a single file called yourfile.pdf. worth using it in a Ruby on Rails project. In the past I used Prawnpdf to create and combine pdfs ,but templates support was dropped in version 0.13.0, disable by default in 0.14.0 and extracted in 0.15.0. Because this was the feature I used for merging pdf files, I had to find a new way to do my stuff and using ghostscript was the simplest choice.